THE LEVANT – By Alexey Sarabyev – In Lebanon, fighting continues in Tripoli. Currently all indications are that this is just another instance of restoring order to the chaotic city, a battle with insurgents and terrorists. As always, the Lebanese army and militants are in opposition, and the population itself of the northern governorates of Lebanon has several versions of who is fighting whom. Beirut’s official concerns relate to the actions of the IS, which is deliberately inflaming the situation in the Lebanese pro-Sunni north to include it in the caliphate. More mundane tasks are the army’s neutralisation of local groups and cells in the vicinity of Tripoli, which has intensified due to the success of the IS and en-Nusra near the Syrian-Lebanese border. These groups tend to be scattered and possess different views on the purpose of their actions. 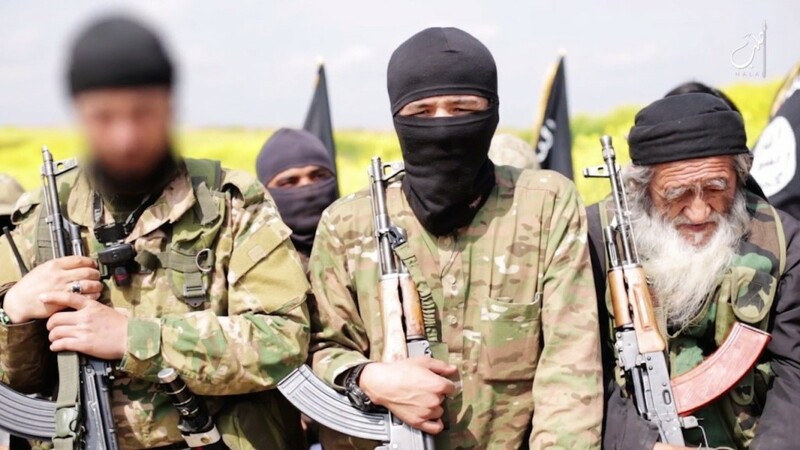 It is doubtful that a significant part of these fighters really sympathise with the IS’ aims: erasing the boundaries of present “artificial” states in order to create a “true” Islamic state. Most of the militants are Lebanese whose purpose is to defend Lebanese Sunni interests, preserve Sunni identity in the northern areas, and oppose the Shiite opposition’s “expansion”. They seem to believe that the small pro-Shiite armed groups that appeared relatively recently in the area of ​​Tripoli and the Lebanese army are acting in concert, and consequently, opposing the army becomes, ultimately, a “matter of honour” for these people. Speculation on the issue of Sunni presence in so-called larger Tripoli and Akkar governorate already has serious consequences: the number of people who doubt that the Lebanese army is truly nondenominational is growing. Under conditions where caliphate emissaries are acting in the areas where Syrian refugees are located, and also where antipathy towards the Syrian regime is dominant among refugees (about a quarter of the entire population of Lebanon), these sentiments are fraught with tension. It is no secret that some of the Syrian refugees’ sympathies for the so-called armed Syrian opposition are gradually being transformed into sympathy for the Islamists of the IS. This was openly declared by the Speaker of the Lebanese Parliament Nabih Berri, and these sympathies have already been seen during fighting for Arsal in August and September of this year. So far, 43 Syrian citizens were being investigated for participating in the attack on Arsal in early August. Lebanese Prime Minister Tammam Salam also spoke about the strengthening sympathy of Syrians located around Arsal (more than 47,000 people). The acuteness of this problem was emphasized at a meeting in Germany on October 28 this year at the conference on the problems of Syrian refugees. Military operations by the Lebanese Armed Forces, together with Hezbollah forces, were able to defend Arsal, but forays by militants in the northern and eastern parts of Beqaa continue. The Islamists are using the captured soldiers as bargaining chips, for example, promising not to reinforce military units stationed in the area, and also demand prisoner exchanges for Islamists held in prisons (for example, in Rumia). To confirm the seriousness of their threats they carry out demonstrative executions of POWs. Traditional Lebanese communities are already accustomed to try to assert their rights by assembling in armed militias during critical times for the country. So, another sign of the times was the intensification of the Druze paramilitary organization “Dai Ammar”. It already has a few hundred fighters and is ready to defend the Druze lands in the Shouf governorate, south of the capital. The revival of time worn ideas about the possibility of self-defence by religious communities is, in fact, a desperate attempt to do something for the safety of their fellow believers. It actually appears to be an act of desperation and frustration, not just devoid of common sense, but bizarre in general in light of the tremendous efforts aimed at strengthening the role of the army and the rise of its prestige among the population. During his time, ex-president Michel Suleiman did a lot to enhance this, and despite this being a very delicate task – his attempts to strengthen the Lebanese Armed Forces were not opposed by the so-called Resistance (i.e. Hizbullah, et al.). Current calls for donor countries to strengthen financial assistance for the Armed Forces seem to be successful. Back in August, Saudi Arabia pledged US$1 billion via S. Hariri to upgrade the Lebanese Army. At the meetings of the UN General Assembly in September, the head of the Lebanese government brought up Lebanon’s need for aid in the fight against the Islamists. The same theme was among others at the meeting of T. Salam in Berlin on 28-29 October, where aid of US$650 million was promised. Similar requests for aid to the Lebanese Armed Forces were made by the Minister of Foreign Affairs Gebran Bassil and Speaker N. Berri. Help really is coming to the Lebanese army. Nevertheless, the various Lebanese confessional communities can sense the grim prospect of a direct clash with the threat of the caliphate. The issue has not induced panic among the Lebanese, but what really makes them worry is the current unforgivable political turmoil. What happens in the political arena in such circumstances? It would be logical to expect attempts to consolidate the political in-crowd and find common interests represented by the policies of communities and clans. Instead, there is a completely misplaced intransigence, an unwillingness to compromise. Since May of this year the presidency remains vacant. The term of office of the Board of Deputies expired in June 2013 and was extended for 17 months. Parliamentary elections are scheduled for November of this year and the country is not ready because it has not adopted a new electoral law that was prescribed for this additional period. Moreover, a number of the leading parties from the March 14 coalition are not ready to set a date for parliamentary elections earlier than the next presidential elections, the latest (14th!) attempt at which was foiled by parliamentarians. Hope for the election of a president has dawned: a number of key politicians allegedly agreed on a compromise figure, the ex-Foreign Minister Jean Obeid. But it is unclear whether the leader of the “Change and Reform” block, which is part of the “March 8″ coalition, would finally concede, and whether the founder of the Free Patriotic Movement, Michel Aoun would compromise on this issue. In any case, the uncompromising style of interactions chosen by leading Lebanese politicians, the rate of response to external threats, and the development of programmes to address the enormous political problems cannot be called adequate. Circumstances clearly dictate the need for timely Lebanese reform and a rapid response to current challenges. Otherwise it will be too late.